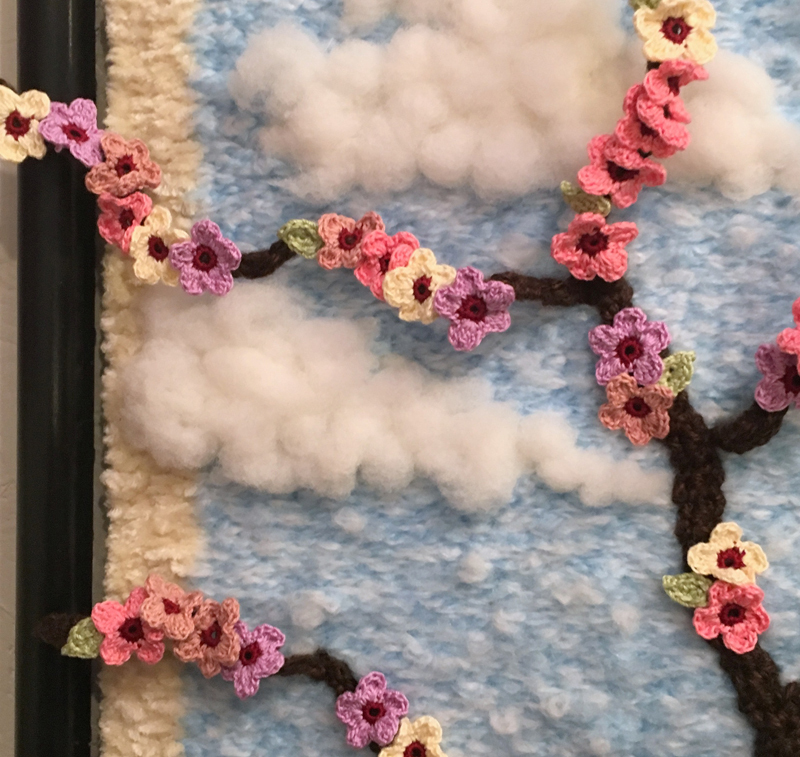 The background (sky, clouds and border) is a weaving, my first major weaving, that I created in an upcycled/recycled picture frame. 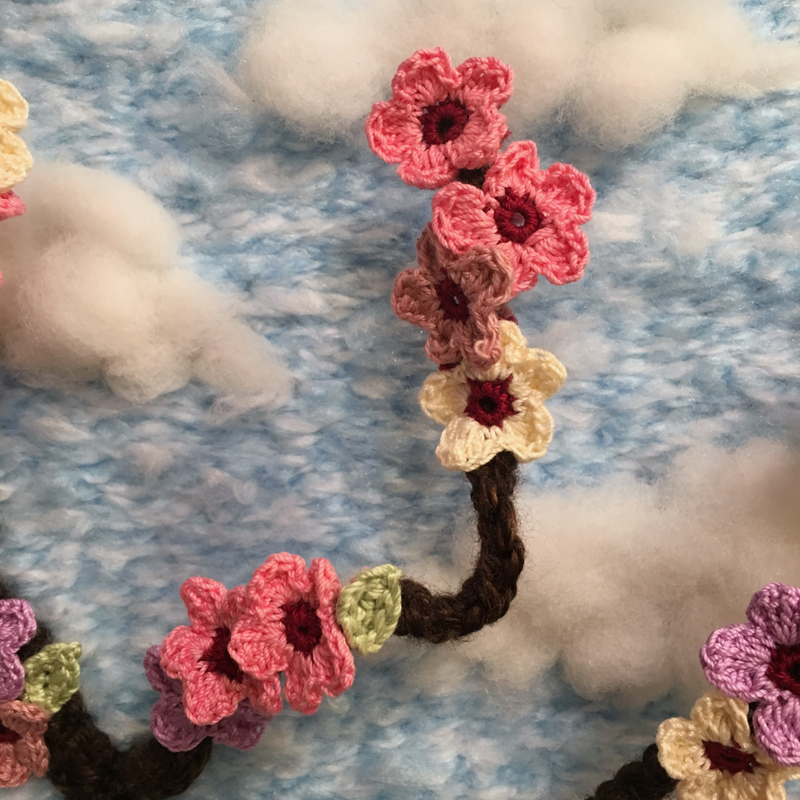 The tree branches, cherry blossoms, leaves and buds are freeform crochet. 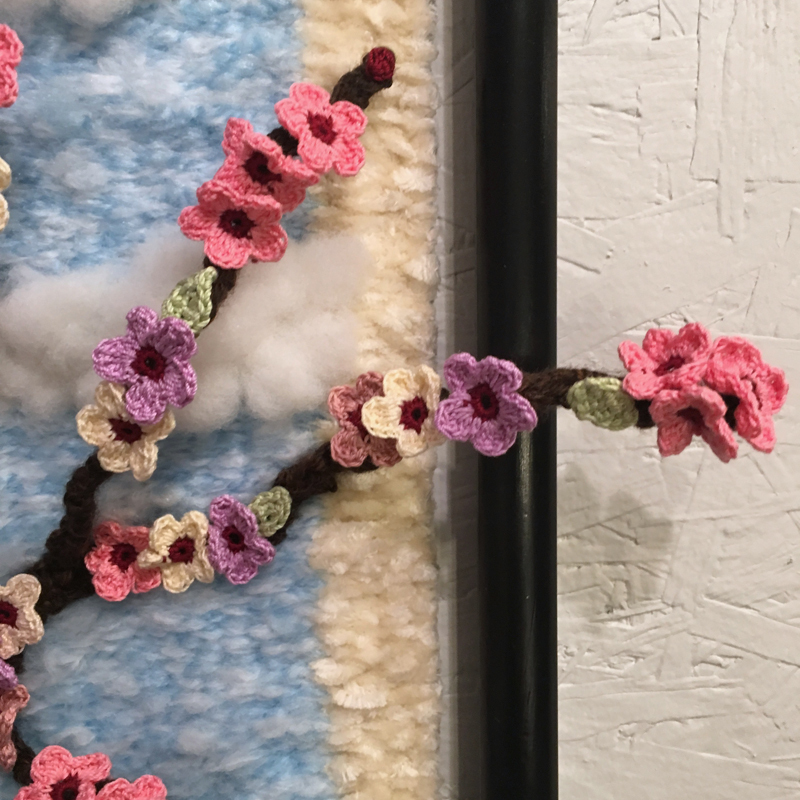 Some of the branches are crocheted over wire to give the branches the three dimensional effect of coming out of the frame. I created this piece to hang on my living room wall as part of an Asian themed living room which we are designing. I just love cherry blossoms, they are so beautiful! 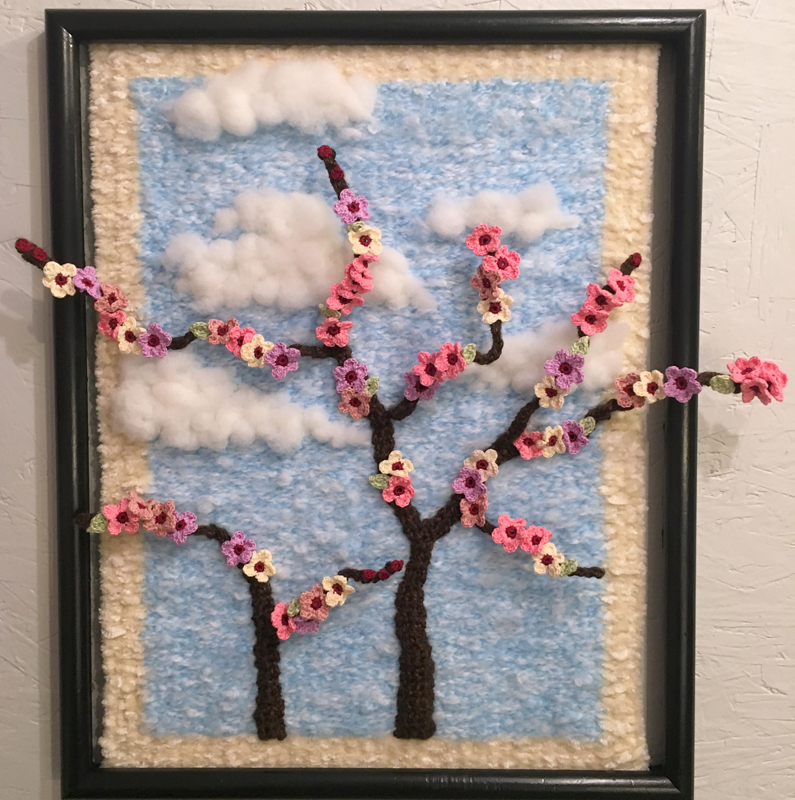 I love your 3D branches Christina. Congratulations on a great weaving for the background, it adds a touch of softness to the scene and the colours and textures are just right. So pretty!!! I love all the textures, and the branches extending outside of the frame make it extra special! The beautiful balance and colors in your piece are lovely! The branches are so graceful! Lovely! Please be kind with your comments - We love positive feedback. Comments containing spam, flaming, personal attacks, abuse and excessive swearing will be removed. All Photos are Copyright of the individual ARTIST. Site embellishment graphics copyright Cyra Lewis. Simple theme. Theme images by enjoynz. Powered by Blogger.